Looking for the biggest air fryer you can get? 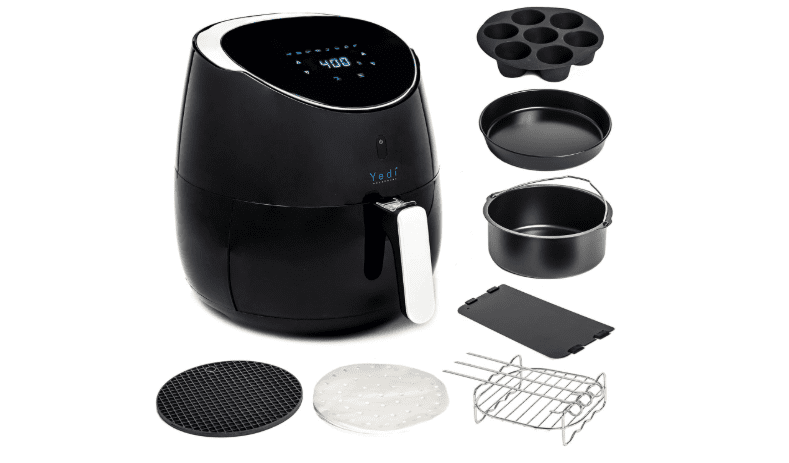 Check out the Yedi Total Package XL Air Fryer. It can hold 5.8 quarts (about 17.65 lbs), has seven presets, and can be increased in 10 degrees Fahrenheit increments.